In 2011 a photo was placed on ebay. 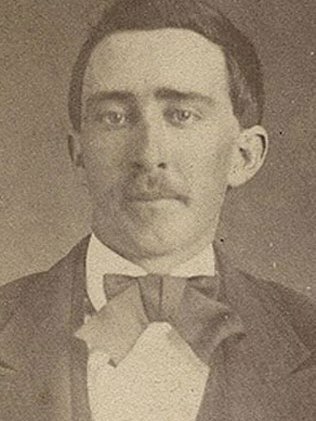 It was a simple picture of an unnamed man taken after the Civil War. According to the seller, it was worth 1 million dollars. The seller joked? stated? 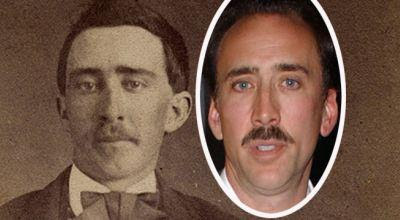 that it was actor Nicholas Cage and it was proof that he was a vampire or undead, who could rejuevenate every so often in a new part of the world. Cage denied being a vampire on the Letterman Show, but why would anyone believe he was immortal in the first place? I blog about “modern immortals” from time to time. Some “immortals” are self-proclaimed and then die, others are people who look like historical figures. 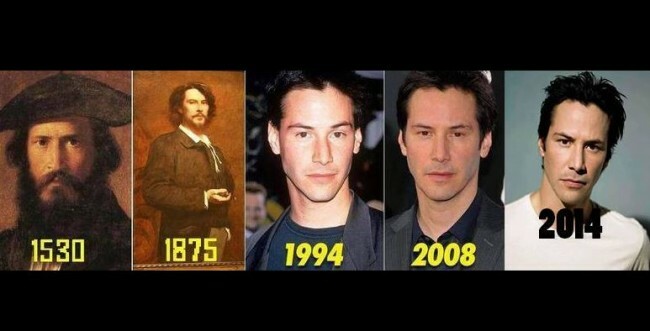 Keanu Reeves is an example. Some argue he is immortal because of his resemblance to Charlemagne and the 19th century actor Paul Mounet and his seemingly ageless appearance. But this time, while researching this post, I found a couple of new arguments against their immortality. An artist who searches out strangers who have the exact same facial features and photographs them http://viralcircus.com/23-unrelated-people-who-look-exactly-the-same-this-will-blow-your-mind/and a website, twinstrangers.com that allows people to upload photos and look for their own facial doubles. The photos are amazing and as with all photos, they could be fake, but it makes sense. There are a limited number of facial features and combinations that it’s reasonable to believe that there can be living duplicates, and if you open up history, there is an even greater chance of finding your facial double(s). I wonder if others came to the same conclusion since it was reported several offers were made, not accepted by the seller and then the photo went off Ebay after a few weeks without news it had been sold. Further, if you look at the image side by side, their similarities start to diminish. I’ll let you search through the supposed twin images and see what you think.